Air Force Capt. 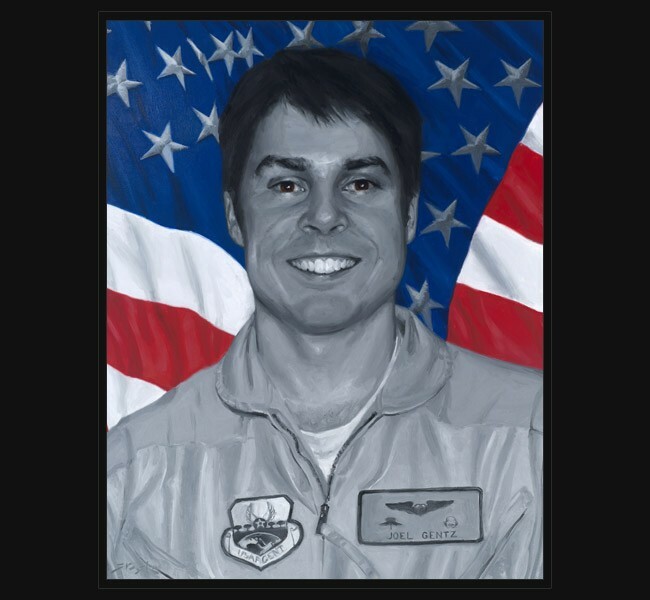 Joel Gentz died June 9, 2010 when insurgents shot down their HH-60G Pave Hawk helicopter near FOB Jackson in southern Afghanistan while performing a medical-evacuation mission. Also killed were Staff Sgt. Michael P. Flores, Staff Sgt. David C. Smith and Senior Airman Benjamin D. White. Capt. David A. Wisniewski died July 2 at National Medical Center in Bethesda, MD, due to injuries suffered in the crash. “These Things I Do, That Others May Live” ends the hallowed creed of the United States Air Force Pararescuemen. Capt. Gentz was a Combat Rescue Officer, a member of an elite group of individuals, whose mission is to recover injured or downed troops from all military branches, and provide emergency medical treatment to save lives. To his younger sister, Rachel Gentz, Joel was a nerd in high school. He was a member of the marching band, and more specifically the drum line. He was obsessed with all things related to flight and dreamed of being an astronaut. Joes was also an outdoorsman; enjoyed hiking and backpacking with his family and as a Boy Scout. He graduated Chelsea High School in 2002 and with the events of 9/11 fresh in his mind, decided he wanted to enlist. His parents convinced him to go to college first and potentially become a military officer. Joel went on to attend Purdue University with an Air Force ROTC scholarship in hopes of becoming a pilot and perform combat rescue missions. Joel was the Cadet Wing Commander at Purdue and was honored four years running with the Warrior Spirit Award, elected by his ROTC class. He was also a member of the Arnold Air Society. He graduated in 2007 with a bachelor’s degree in aeronautical and astronautical engineering and was accepted into the U.S. Air Force’s pilot training program. Joel was the first ROTC cadet to be accepted into the training program. On June 7th, 2008 Joel was married to his wife Kathryn. The pictures of their wedding day are filled with smiles; a reflection of all pictures of Joel that were always filled with his humongous smile. His sister Rachel said the military could never take away Joel’s contagious sense of humor. Capt. Joel Gentz was 25 years old from Grass Lake, Michigan.